ISLAMABAD: The Pakistan Telecommunication Authority (PTA) accepted Warid Telecom’s plea to permit it to launch 4G services in the country via The Express Tribune, May 4th, 2014. Warid did not participate in the previously held auctions by the Pakistan Telecommunication Authority on 23rd April, consequently the bids of four mobile operators, Mobilink, Telenor, Ufone and Zong respectively were qualified for the auction of 3G and 4G spectra. The company’s existing licence; acquired backed in 2004, is technology neutral and have a spectrum from 1800Mhz but it will have to get necessary approvals from authority before launching any such service because it is not service neutral. This being said, the company would have to share all news regarding its new services prior to the launch. While Warid is putting efforts to hold its ground and lighten up its customers with their media promotion to launch 4G LTE, which indeed is a long term revolution to compete with the other 3G and 4G licence holders. Though it was earlier expected that PTA might withhold Warid’s request to go for the launch of 4G LTE considering the interests of other cellular companies who have put up a heavy sum of $1.12 billion and invested quite of their time to get the 3G 4G licence but now the Pakistan Telecommunication Authority insists that the company under the law needs permission from the regulator for the introduction of new service. “The existing licence of Warid is technology neutral but it does not mean that it is service neutral for launching 4G LTE as it will subject to 4G KPI and rollout obligations (as per normal 4G licenses), which are hard to meet with the spectrum that Warid has. All newly-launched services require PTA’s consent. For this, Warid will have to send in a proper request. The PTA will look into such a request based on the licence conditions (assuring proper coverage, quality of service, enhanced monitoring requirements and commencement permissions), and in the best interest of the cellular industry, especially the winners of the 3G/4G spectrum auction,” a PTA official responded through email to a Dawn’s query. A Warid official told Dawn that according to the licence requirement, they would notify to the PTA about the launch of 4G LTE since Warid had enough spectrum available with it for the new technology. “The cellular company’s licence is not “service neutral” and it will have to seek approval for new services,” PTA told Dawn on Monday. Warid Telecom is seeking its chance to deploy 4G LTE network for high-speed broadband with its existing license and spectrum from 1800Mhz band that it had bought in 2004, we have confirmed with sources. Despite the fact that the spectrum allocated to Warid (in 1800Mhz band) might not be sufficient enough for parallel and smooth quality of service for mobile broadband, Warid has decided to go with 4G LTE deployments in Islamabad, Lahore and Karachi. 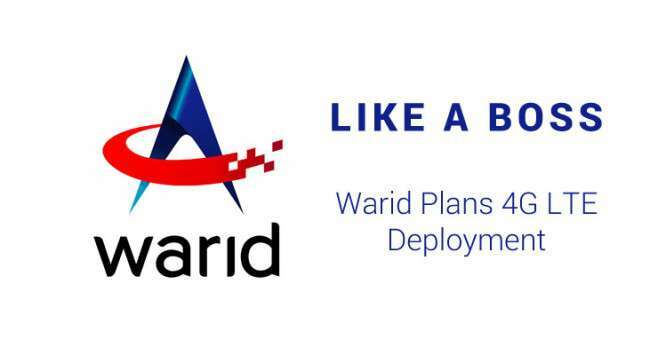 Warid officially has announced its plan to ProPakistani about the roll out of new technology that would enable the users to experience high-speed internet on their smartphones. Not to forget, Warid has 2x5Mhz spectrum from 900Mhz band, which might get over flowed if entire voice traffic is switched to it. As per the Gurus verdict, Warid still needs to do a heavy load of work. It has to make consuming compromises with its quality if it opts for wireless broad band. Meanwhile the social media, more specifically Warid customers are busy trolling the other cellular companies for getting their heads back into the race. Next story Now Enjoy the Best Zong Call Packages 24/7!